Over the past fifty years, Elizabeth has harmoniously married her expertise as a goldsmith, together with her boundless creativity to break new ground, creating designs that are both ingenious and timeless. Elizabeth’s unbridled appetite for creating uniquely commissioned pieces for her clients is internationally known. Committed to translating the individual style and wishes of the client into timeless jewels, today’s Elizabeth Gage designs are tomorrow’s heirlooms. 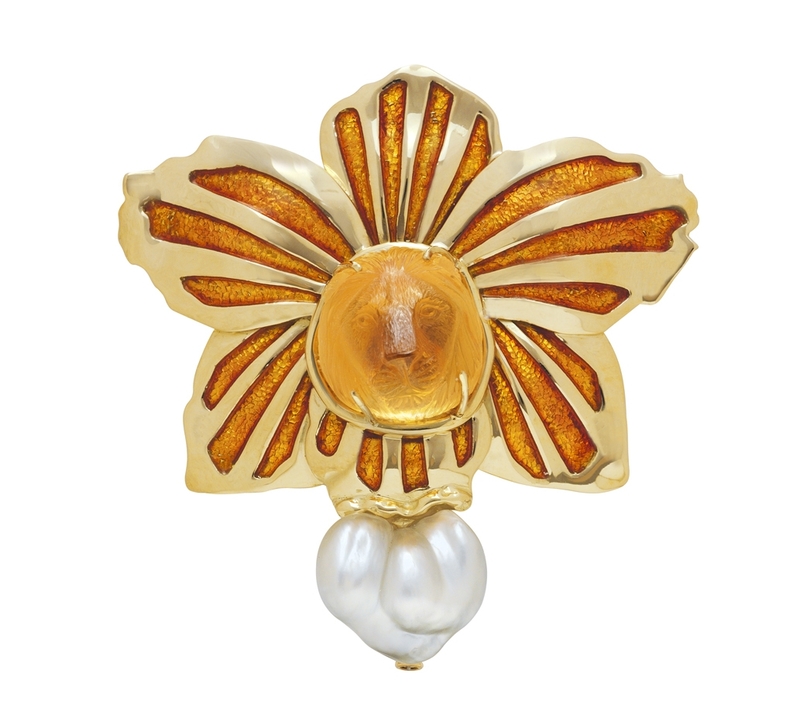 We invite you to explore a selection of Elizabeth’s past commissions and discover how Elizabeth writes the stories of her clients in gold and precious stones. Our client broke a lovely pin and all that remained was the carved lion and a fabulous baroque keshi pearl. The client wanted a similar shape and feel for her new pin, yet something very different. 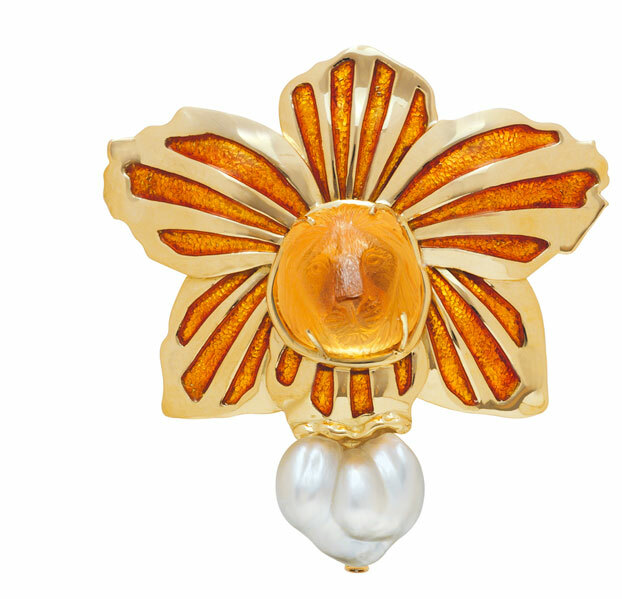 Elizabeth made the carved lion the focus and used the shape of an orchid to surround the carving, embellishing the petals with rays of matching enamel. Many pieces in Elizabeth’s book ‘The Unconventional Gage’ inspire our clients to ask if an item can be remade. Many are one of a kind, however, Elizabeth can sometimes create a new design with a similar feel to her original piece. 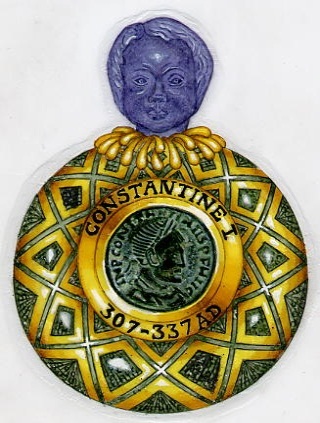 The Antoninus Pin on page 103 was the starting point for this charming design. 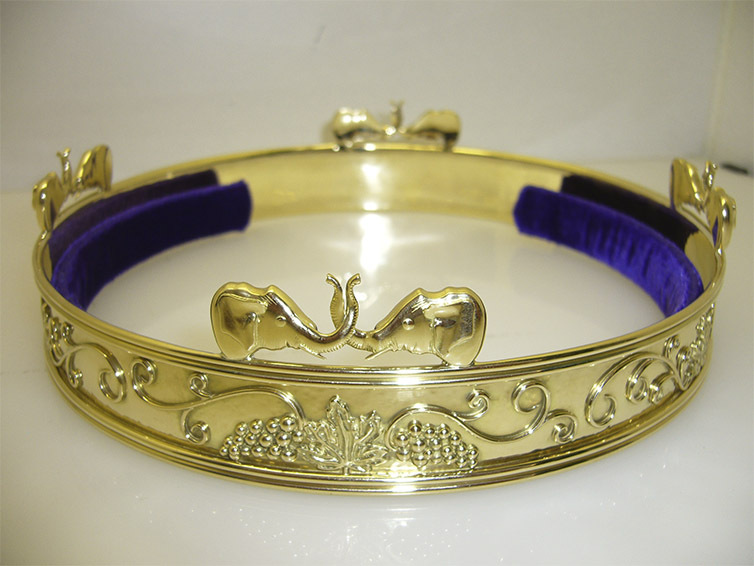 One of our clients purchased a lovely collar from us and then asked Elizabeth to design another collar for her personally. Our client is an artist who incorporates the sun, leaves, hearts, the moon and stars into her art and she wanted Elizabeth to reflect her work in the new design. These are all symbols which Elizabeth enjoys using in her designs so she found it inspiring to work with another artist who shared her love of these elements. 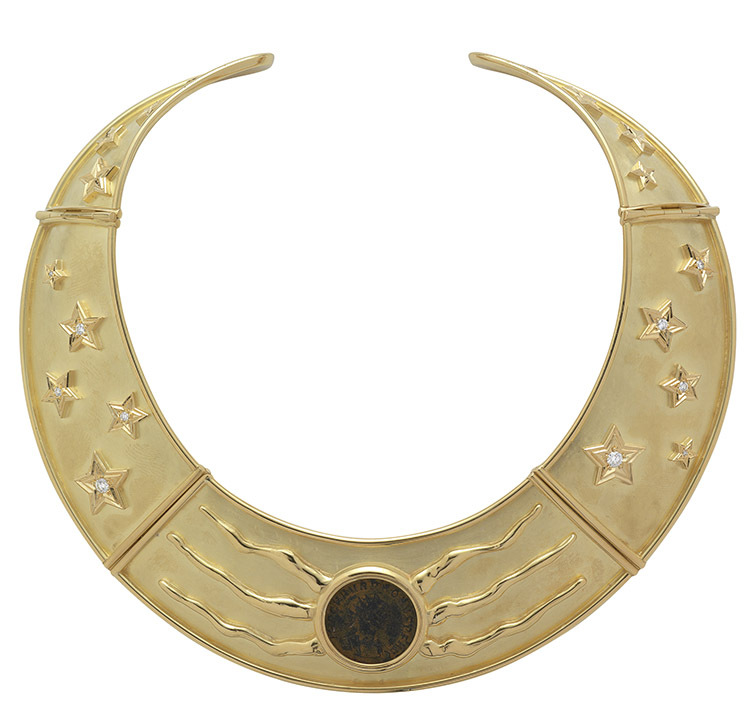 After sketching some concepts she felt that the gold torque necklace needed a focal point and chose a bronze Roman coin with a lovely patina as the centre with molten sun rays flowing from it at the front of the necklace. On either side of the torque she scattered different sized carved stars with diamonds centres. Throughout her varied and highly successful career Elizabeth Gage, one of this country’s most influential jewellery designers, has created many rare and wonderful objects, however, none so unusual or as breathtaking as her two magnificent 18ct gold crowns. A very special commission from an American client who first saw Elizabeth’s work on the Goldsmiths’ Hall website – Whos Who in Gold and Silver.